Making breakfast is traditionally associated with Mother’s Day but why does it have to be contained to that? Do father’s not enjoy a breakfast served to them as well? 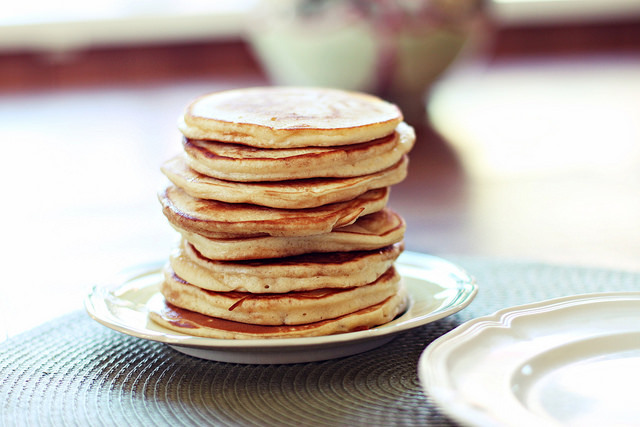 These whole wheat pancakes are delicious and very quick, so you won’t have to get up that much earlier than you normally do to make them. Don’t be scared away by the whole wheat-ness of these, half all-purpose and half whole wheat flour is used here, and together they make a really hearty pancake with a little bit of nuttiness. Serve these with bacon which — to make things even easier — you can bake in the oven. Line a roasting pan with foil, throw the bacon on, and cook at 375 degrees for 30-45min. Now you won’t need to deal with that hot oil! Plain, homemade biscuits are a revelation in themselves but homemade biscuits with sausage AND cheese? Goodbye. These truly taste like an entire breakfast sandwich all stuffed into a biscuit. Traditional biscuits, with all their cold butter than isn’t allowed to melt and layers and rolling and cutting and re-rolling and re-cutting, can be a bit of a pain. Thankfully, these aren’t that, they are drop biscuits! Meaning all you are doing is mixing everything together, scraping it out of the bowl with a spoon and dropping it on the pan. You can put the rolling pin and biscuit cutters to the side for these. Burgers are probably one of the most common foods associate with Father’s Day and who are we to mess with tradition? These burgers are a little different then the normal though, they’re a recreation of ones you can find at Freddy’s — a fast food joint with locations primarily in the South & Midwest. 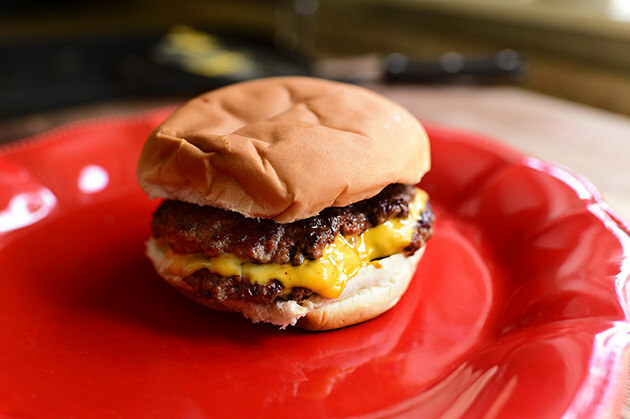 Instead of just one huge burger, these are two really flat patties with melted cheese sandwiched between them. I don’t see why you couldn’t throw some caramelized onions or bacon to pump ’em up even more. Serve with a side of fries (maybe a even milkshake? Come on, it’s a celebration!) for Father’s Day dinner. Steak sandwiches aren’t as popular as their cheesy-Philly-sister but I grew up with a dad who hated cheesesteaks (I know) but counted plain steak sandwiches as one of his favorite dinners. Even though most of us love the cheesy kind, I figured that my dad couldn’t be the only one out there that likes his steak with nothing covering up the flavor. This is a very straight forward recipe and can be done either on a grill pan indoors or on an actual grill outside if the weather permits. There’s also a recipe for spicy horseradish mayo which gives the sandwich a kick if you decide to make it! Bolognese definitely falls into the category of “holiday” or “I have a lot of patience & feel like spending a lot of time in the kitchen today” cooking because it is one of the more labor intensive sauces. But if you feel like putting the time in, you will be rewarded ten fold. This is a very hearty, meaty, deeply flavored sauce that suits dads (or humans, really) that really enjoy their pasta. Anne gives great instruction in her recipe and turns what could be an intimidating sauce to make into something that seems simple. Labor intensive, yes. But difficult? Not so much! An odd choice for a Father’s Day dessert? Maybe, but I’ve found that men tend to prefer less sweet desserts instead of the normal super sweet cupcakes, cakes, or cookies that are typically celebration desserts. Peaches are just coming into season so this strudel is a great way to highlight the fruit without overdoing it on sweetness. This pastry looks very impressive, even though essentially all you are doing is chopping the peaches, mixing the filling, and folding the dough. There are step by step pictures for how to fold the dough on this recipe’s page, making this one foolproof. In keeping with the not-so-sweet desserts, this baked fudge is deceptively insane. Think it’s weird to describe a food with a word like “insane?” You will get it once you make this. 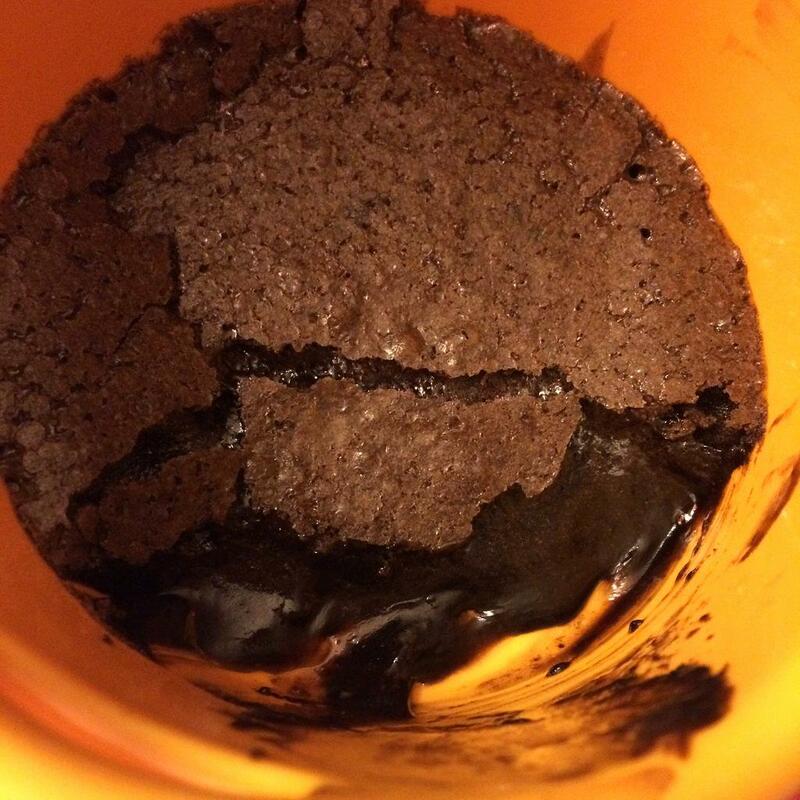 Baked fudge is really all the best parts about chocolate desserts wrapped up in one ramekin. It’s got a thin crispy-ish top like the best brownies, a rich chocolate flavor like a good chocolate cake, and a gooey center like a pudding or molten lava cake. I’ve made baked fudge about 42526x now and every time I am still amazed by how decadent and delicious it is because it contains so few ingredients and comes together in MINUTES. Take a look at the picture to see what I mean and then make. this. immediately. Featured image is from Ree Drummond . Reblogged this on Volcaso .